On the bridge to Eternity. Associations with Grandsheikh Muhammad Nazim Adil Al Qubrusi, Al Haqqani, An Naqshibandi: Dhul Hijjr 1419 and Muharram 1420 (April and May 1999) Cyprus. o.J.. 139 p. Transkribiert von Khairiyah Siegel. 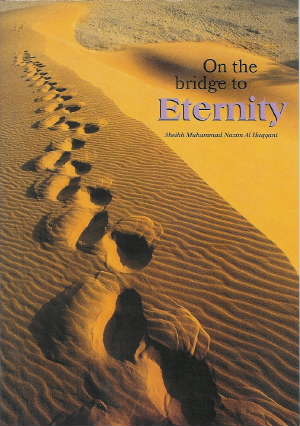 Newly published by Naqshbandi-Muhammadi South Africa in 2012 under the title "Bridge to Eternity", 94 p. BookFulltext is available (PDF, 4MB).